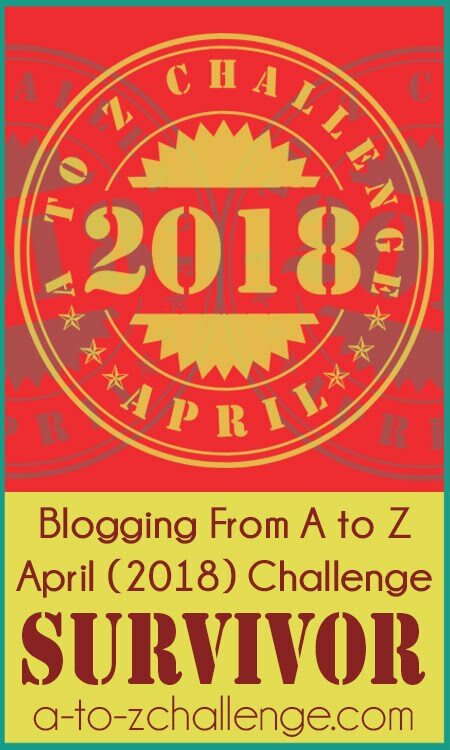 Blogging from A to Z April Challenge: This Is the Place for #atozchallenge News! This Is the Place for #atozchallenge News! Do you ever get the feeling of deja vu at the Blogging from A to Z Blog? Why do we repeat topics? Why do all of us bloggers repeat topics? Maybe sometimes it's because they bear repeating. I realize you may have seen more than one blog post about Word Verification, Following, Social Media, and many others. I've also seen these topics on some of your blogs. In fact today on my blog Tossing It Out I've got still another post about Blog Comments. Why do we all do it? It's because there are new bloggers out there who don't know about some of these things and there are still old bloggers who haven't gotten the message apparently. So please bear with us because we may be repeating things we've said before. We may do it here and the co-hosts may do it on their own blogs. And we certainly don't mind if you take on some of these topics as well. If something needs to be said, let's say it! Thank You A to Z'ers! 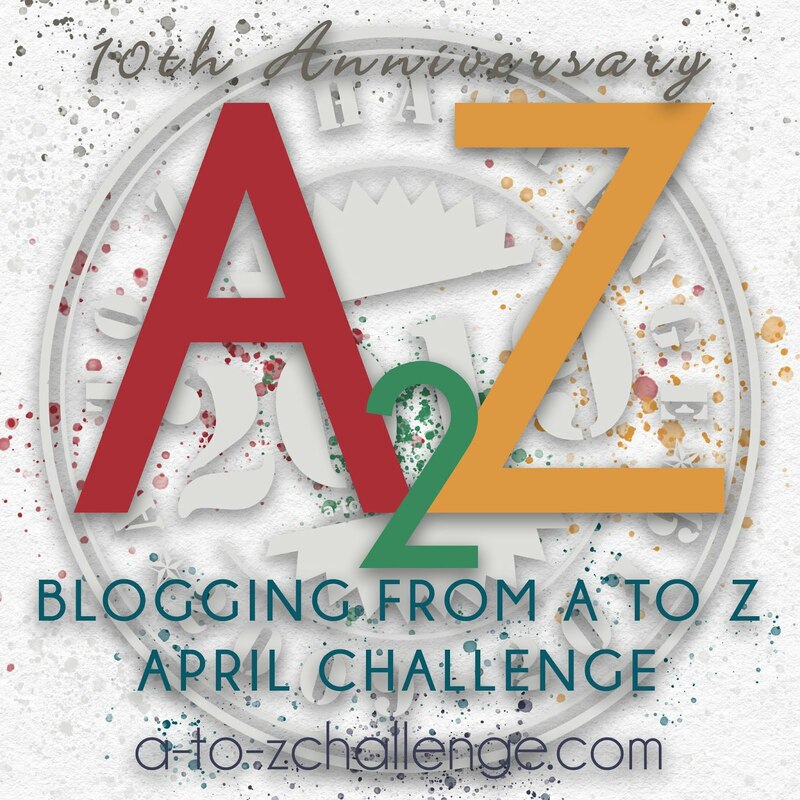 We try to keep an eye out for those of you who help to promote the A to Z April Challenge and we periodically recognize those who have caught our attention with special promotional efforts. We encourage you to do whatever you can to get the word out about the April Challenge so we can get more participants joining in the fun. Some of the things you can consider is shouting out on all the social media platforms, posting notices, contacting your newspapers, doing radio or TV interviews, and holding up signs on street corners. Be creative! Send us links, stories, or pictures that tell us about your efforts and we'll put them up on the A to Z Blog site. A to Z Opening day saw plenty of blog announcements including one from Scribbles From Jenn. Halls of the Nephilim was one of the sites that actually put up the Linky list for sign-ups. Sophey Says she saw the A to Z links on Twitter which just goes to show the effectiveness of the tweets. Keep on tweeting about the Challenge people! Returning for another year of A to Z is Catherine Ensley's Words World and Wings. As is Heather at Stretching My Wings -- Welcome back! Nicki at Off the Beaten Plan described her intent for April. Sounds like she'll have her hands full with a real Challenge to herself. Shannon at Moments of Introspection provided a big send off to help start the Challenge sign-ups. Tim Brannan is a Challenge veteran and knows how things roll with us. Thanks, Tim, for helping to promote opening day on your blog The Other Side. Also returning for another year is John at The Sound of One Hand Typing. He put in a nice plug for this April's Challenge. Alana from Writercize is also back for another go at the A to Z. In a recent post where she gave the Challenge a promo she also included a link to the very nice story she did about me last year. If you're still trying to decide whether or not to join in the A to Z event, pop on over to Raising the Curtain to see if that post convinces you. Connie at Peanut Butter and Whine linked to the Challenge in her announcement to join up. Another blogger returning for the A to Z fun is Patricia Stoltey, who offered some helpful tips about the Challenge at her blog Patricia Stoltey. Jennifer at A Creative Exercise also called out for the cause of the A to Z. A special A to Z post was offered at the blog Pouffia--another first timer for the Challenge. Tami at Thrift Shop Commando let her A to Z intents be known to the world. 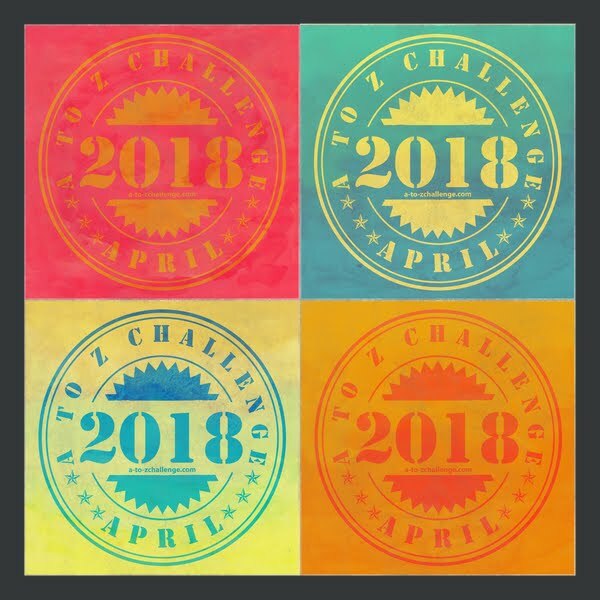 If I weren't doing the A to Z Challenge already, Mina at Some Dark Romantic would have convinced me with her great post about why one should do the April Challenge. I'm sure there are many more of you who provided special posts and we thank you for them. We'll try to keep up with all of you, but we're sure you'll understand the magnitude of catching every one of your posts and listing them on this site. Don't let that stop you! Keep promoting the A to Z.
Damyanti, at her blog Daily (W)rite, has an offer of featuring books for authors during the #atozchallenge. She still has a few openings. Here's what Damyanti has to say: "Basically, I’m going to feature excerpts from 26 books with Titles beginning from the 26 letters of the alphabet. These could be books I have fallen in love with, or books by friends whose work I would recommend." If you have a book you'd like to have included go to Daily (W)rite for more information. Be sure not to miss a single post at the A to Z Blog or you might be missing something you need to know. Even if we do sometimes repeat ourselves. Will you be doing a feature post on your blog about the Challenge? Can you think of some other ways to get the word out to bloggers about the A to Z? What are some topics you'd like to see covered on this blog? I'm sure I can do a promo blast sometime this week! Anything worth saying bears repeating. 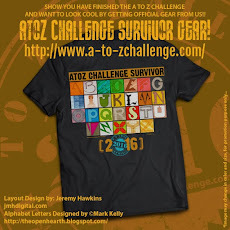 Yes of course I'd do a feature post on my blog about the A to Z Challenge. I am so pepped up about the whole idea! I just popped over to Damayanti's blog and am in love with her idea of the Book excerpt. 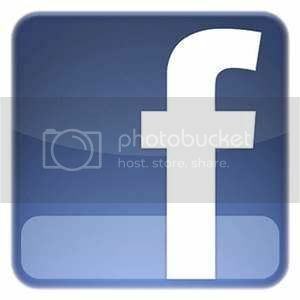 You know, I am only in a dilemma about posting from April 13 to 30 - as I'll be traveling out of the country. I am thinking of ways to schedule posts - but visiting blogs will suffer and I feel terrible about that. Let me see what I can do. My head is brimming over with all sorts of ideas for the posts :-) What fun! I still come across bloggers who are using Word Verification and it almost stops me commenting at all. Drives me nuts. I have promoted A to Z on my blog and will continue to mention it now and again during the lead up time. My head too is full of ideas for my A to Z posts. I have already written A and B.
I'll promo A-Z in March as we get closer! I did do a promo post last week after I signed up :) I think it helped a few others consider to sign up too! Just noticed the clock counting down to the challenge! How exciting! Jolie -- You're a gem and we appreciate all you've been doing! Matt-- You can say that again! Vidya -- Scheduling all your posts ahead is a can do and a good idea. And even if you can't visit in April, you can always go back later. You'll have your commenters to visit and the Linky List will be open all year. Jo -- It's great when the ideas keep coming. And we're doing our best to discourage WV Captcha. JoJo -- Thank you for anything you can do to spread the word, JoJo. Betty -- Word of mouth is the best promotion of all. Thank you! Thanks for noticing. I love the A to Z Challenge and hope to participate (and promote) the challenge for many more years. We want all of you noticed, so if we miss you in all the chaos, email a co-host and we'll get you on the list! There have been dozens more - everyone has really come out in support of the Challenge this year. Patricia -- We're counting on it! Diane -- It's a test of your abilities. You can do it! Tina -- It's hard for us to keep up with all of them isn't it. Alex -- I'm seeing things all over the place. Very cool! Your idea is just wonderful - and I'm so pleased we're now into the 4th year .. though this will be my 3rd ..
Wow! Thank you for listing me in this post. 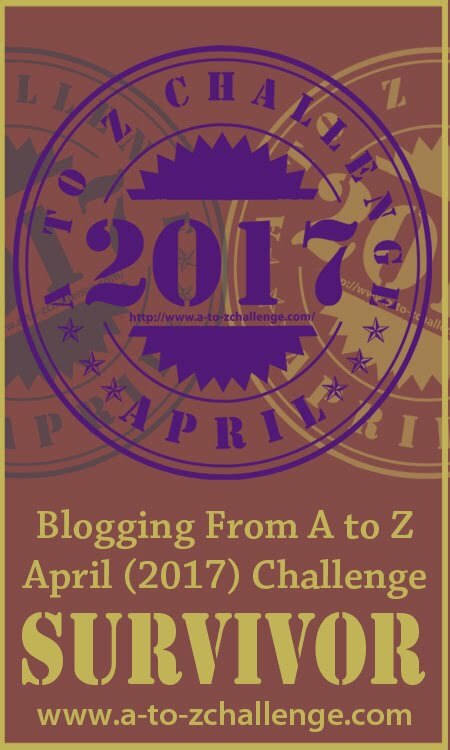 I keep plugging the A to Z challenge because it's both useful to network through the blogging waters and to learn good blogging practices. Especially, since part of being a successful blogger is to both create great content and to be able to engage your audience. I'm really looking forward to this. Should be challenging but fun at the same time. I'll certainly try to promote this as much as I can. Thanks for putting this together! I just drafted a promo piece before I saw this post! I came up with a theme idea and wanted to get started on it. I had a lot of fun with the challenge last year. I tweeted occasionally on the challenge last year, too. Looking forward to joining all of you. I'll put up a promo post soon on my blog. Just a silly question what if you do more than one daily post? Should I challenge myself to keep all my posts that day with the theme or does just one main post have to follow along with it? Hoping that made sense. Our Fascinating Moon. Who Knew? Do You Luv the #atozchallenge? The #atozchallenge Team Needs Volunteers to Help!